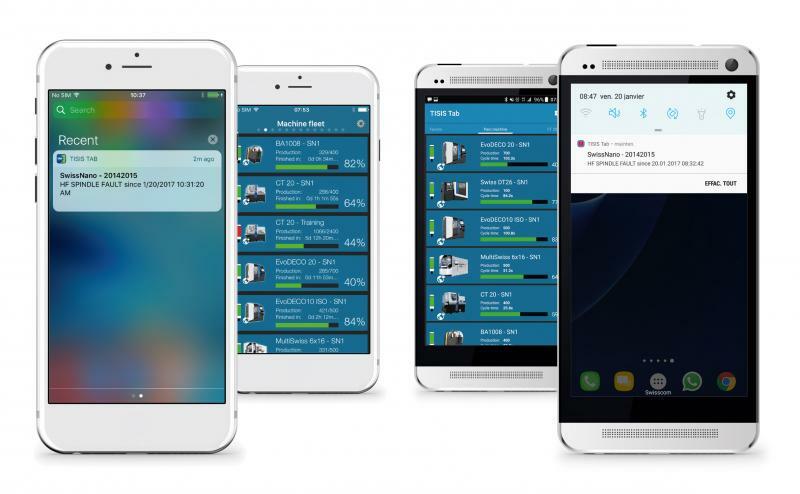 Launched in 2013 to coincide with the unveiling of the Tornos SwissNano, TISIS software signalled the Moutier-based manufacturer's desire to quickly embrace the Internet of Things, which soon after became known as Industry 4.0. This decision - at first seemingly an odd choice for a machine tool manufacturer - has proved to be a sound one; connected and intelligent machines are now at the heart of the debate on where the industry is headed. 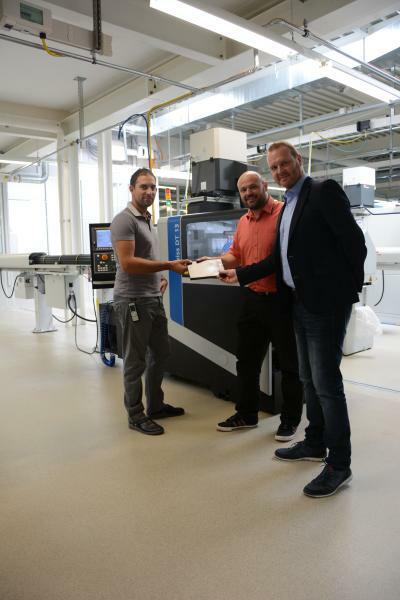 Now, PIBOR, a world leader in the manufacture of watch exterior components based in Glovelier in the Jura region of Switzerland, has taken delivery of a Tornos Swiss DT 13 machine and activated the 1000th TISIS licence. TISIS is a scalable software with a regional signature and a strong remit, reveals Patrick Neuenschwander, software R&D manager at Tornos. "It is a software we wanted to develop with our customers. Therefore, we have been continually adding new features since it was launched in 2013. Originally, the software was intended for programming and monitoring SwissNano machines, but we have since extended its capability to cover the entire Tornos machine range. The software is obviously designed to facilitate the machine setup procedure, but its main advantage is enabling the knowledge of each workshop to be capitalised on and centralised. Bar turning is often more of an art than a science and, despite all the technology, it remains a profession in which the operator's expertise is paramount, explains Patrick Neuenschwander. TISIS enables experienced bar turners to easily store operations so that less experienced ones can reuse them correctly. The software now has an impressive array of features. Users can measure the efficiency of their production, programme in very complex parts and, if desired, view the status of their workshop, see the performance details for each machine or receive notifications in the event of problems, at any time, from anywhere in the world. We add new features to the software in stages, based on customer feedback. For example, in a few days' time, at the EMO trade show in Hanover, we will unveil TISIS live, a new module which allows Tornos service engineers to analyse the status of each connected machine throughout the world. TISIS has been developed in close partnership with HE-Arc (Swiss University of Applied Sciences) in St-Imier and the Tornos teams in Moutier. Tornos has a permanent research cell at HE-Arc, and TISIS is the direct result of this partnership. "The Jura Arc region is the global centre of the bar turning industry, therefore it was logical for us to develop this solution with local partners, and I'm particularly pleased that PIBOR will be the 1000th TISIS licence holder," states Patrick Neuenschwander. This company houses an extremely specialised manufacture producing crowns and push-pieces, as well as other watch components. Working with some of the biggest names in the high-end watchmaking and jewellery industries, the company supplies its customers with parts of impeccable quality. To satisfy this exacting clientele, the company approached Tornos for its bar turning requirements. PIBOR's products are 100% Swiss Made and benefit from RJC/CoC certification. The company recently decided to invest in a brand new Tornos machine: the Swiss DT 13. This machine saw PIBOR activate the 1000th TISIS licence. This software provides welcome support at all levels: It means all of our new machines can be programmed using the same procedure, reveals Didier Muriset, Industrial Director at PIBOR ISO. The software's production monitoring features show us that Tornos is following trends very closely, and reassure us that Tornos is a high-quality partner that will support us in achieving our future objectives," concludes Mr. Muriset. "In terms of day-to-day use, TISIS is extremely simple to get to grips with and offers valuable assistance in setting up and programming machines," reveals Laurent Ruiz, bar turning manager at PIBOR ISO. It is a real advantage for operators, and is much valued internally, particularly in terms of programming assistance. The software offers excellent performance and has been designed with the operator in mind. We are therefore delighted to hold the 1000th software licence and to be able to try it out on this new machine.